I’ve said it before and I will continue to scream it from the hilltops: there is no better podcast on the themed entertainment industry than the Season Pass Podcast. Sifting through the archives of the incredible interviews Doug Barnes and his team have given over the years is jaw-dropping. If you want to know if you’ve made it in this industry? You’re asked to be a guest on the Season Pass Podcast. Their guest list includes legends and veterans from all over the industry. 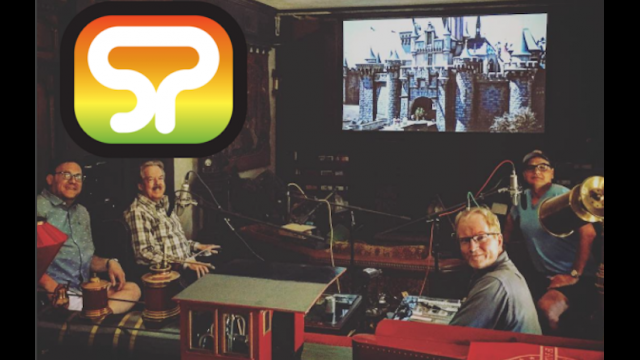 However, if you’re looking for true inspiration you have to check out the interviews with Disney Imagineering legend Tony Baxter. Currently, there are seven separate interviews with Baxter (with more to come) covering a myriad of topics. Through the hours of interviews already compiled, you’ll hear stories on the building of Disneyland Paris, Big Thunder Mountain Railroad, Disneyland’s New Fantasyland and more. Even more fascinating is when you hear him talk about his philosophy on how to design a new attraction or park. I get a lot of people asking me all the time how to break into the themed entertainment industry and what’s a good starting point. The Season Pass Podcast is always my first answer. If you’ve never heard of them, head over and check them out. And if you’re a frequent listener, I encourage you to either donate or become a sponsor of the podcast. I will be the first to tell you that there is little to no money doing this kind of work. It’s extremely time-consuming, requires money for equipment, bandwidth, and travel expenses and the content is absolutely free. This entry was posted in Disney, Theme Parks 101 and tagged Doug Barnes, The Season Pass Podcast, Theme Park Podcast, Themed Entertainment Podcast, Tony Baxter. Bookmark the permalink. Trackbacks are closed, but you can post a comment.